While not many people can imagine what goes on in the minds of CAPCOM's corporate head, sometimes simple mis-management is the only thing that stands between the next great thing an icon has to offer and a new concept character that comes to take over. This is what's playing out for the future of everyone's favorite blue hero Megaman. Megaman became a franchise in 1987 and has since created over 50 different games spanning many consoles, spin off TV series, and merchandise galore. 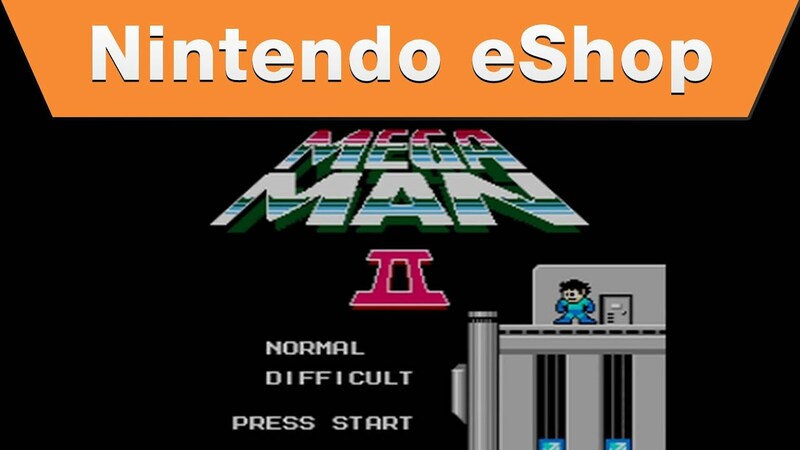 Megaman itself was originally a platform sidescroller game, that broke down into many different concepts, even FPS's, a Monopoly spin off game, as well as an open world RPG, not to mention the many offshoot games based on characters that have made appearances in previous games. According to CAPCOM there just isn't enough interest to revive this icon anymore. Lead designer and game developer Keiji Inafune has a different idea though, and with the ongoing support of fans and many of the original development team, has decided CAPCOM's retirement of the Blue Bomber was premature and left to develope his own studio in hopes to revive the story in a new franchise with a fresh face and a new look that can resignate with newer generation gamers. With this in mind Keiji hosted a kickstarter and 'Mighty No. 9' was born. It's no secret that Keiji Inafune left CAPCOM. A company that he had put so much time and effort into, and with that the future of everyone's 'Blue Bomber' was thrown in the air. CAPCOM not only cancelled there last 4 Megaman games, but with there last cancellation, actually stated publicly that the fans were to be blamed for there lack of interest in the projects, while simultaneously thanking them for there participation. That's right, there is no Megaman, because the fans have no interest in it. We can be rest assured that only bad things can come out of a company that refuses to listen to the fan base. To many fans, what made Megaman such a mega success was the intellectual genius that helped keep him propped all these years, Keiji Inafune. With his own thoughts in mind Keiji made a kickstarter to create a spiritual successor to Megaman, calling it Mighty No. 9. Within 24 hours of the kickstarter Keiji had surpassed his goal of 900k, netting over 1 million to start the process of making the game, almost entirely paid for by fans. By the end of the kickstarter, comcept had the backing of 67,226 backers, paying a total of $3,845,170.00 towards the project. Beck is Megaman in spirit only, he comes with his own quirkiness and personality that is unique to himself. Fans paid more than 4 million dollars to make a Megaman game, or in this case, something akin to it. That stream of revenue not only funded the making of the game but allowed Keiji to bring it over to every gaming platform and console including the PC. Shame that CAPCOM couldn't see the power of the fan base the same as the Keiji did. We can only hope that Keiji's brave steps and sacrifices he made for the future of gaming will turn some corporate heads at CAPCOM. This isn't the first time the Megaman franchise went without a father figure, but it may be the last. Beyond a doubt with so many years under it's belt it may be time that Megaman be relegated to his place in just making appearances, like he did in the more recent Super Smash Bros. for the Wii U. CAPCOM seems to of ran into the same problem with both the original developer of Megaman 20 years ago, Akira Kitamura and the current designer and developer Keiji Inafune. The bottom line is, the developer's have no rights to any of there works, it's the publishers who own them. Screenshot of Megaman for the NES in 1987, whose concept and character design was done by Akira Kitamura. CAPCOM itself is the sole copyright owner of all things that come out of it's company, this locks developers into staying solely with them if they wish to continue on there creations. It's also a company that follows oldschool salaryman models whose board members aren't interested in new ideas, there interested in what makes profit. The old sidecrolling 2D models worked great, but outside of that the company hasn't seen much in profit changing up the gameplay for newer systems. The franchise itself is slowly dying, as with the new generation consoles, with it's updated graphics engines, Megaman's old 2D models are falling out of favor, and doesn't resignate with the new younger audiences. Megaman 3 lost it's father at the beginning of production, it was almost cancelled, but was adopted by Keiji Inafune. The original father and predeccesor to Inafune's Megaman, Akira Kitamura, had left in the early development of the Megaman 3. His reasoning now falls under rumor as all source information is inheritantly pulled from the internet as soon as it appears, prompting the usual 'Inafune is not the creator of Megaman!' forums every couple of years, and heralding internet conspiracies as to why this is the case. It is unknown what the motive is for pulling down the source archives whenever they pop up, or are reiterated by other co-workers and staff at CAPCOM, but the general story seems to be roughly the same. That Akira wanted to take the series in a new direction, with new ideas for the character, he felt that his creativity was being stifled and was not alone in that regards. It must have been a painful decision for Akira to leave Megaman behind, but he had no rights to his own creation. In there creative differences, Akira left CAPCOM along with other notable staff members, technically the CAPCOM A team. Together they founded there own company 'Takeru' where games such as 'Little Samson' and 'Cocoran' were developed. 'Little Samson' nowadays is considered one of the most innovative platform games for the NES. It is unknown exactly what happened, some assume it had to deal with the title, but when 'Little Samson', was released it was considered a flop and Takeru went bankrupt. From the lifebar to the similar layout fighting the dragon in this scene, you can see Megaman's creator all over this game. Picking up a copy of Little Samson on Ebay is not only nearly impossible, it could set you back over $1,000 in any condition. Following the collapse of Takeru, most members moved to another gaming company Mitchell. What happened to Akira is speculation only, as information pertaining to any future work vanished along with his Wikipedia page. Unfortunately, this great game developer had to of resigned from the gaming community, which is a loss to us, the original fans of his work. When creator and lead developer Akira Kitamura left the team, he not only left the production of Megaman 3 up in the air, but other reputable staff members left with him, leaving CAPCOM in chaos. Keiji Inafune was a low level developer and illustrator at the time, as a matter of fact CAPCOM didn't even choose Keiji to take the lead on the game's developement and instead gave it over Masahiko Kurokawa who had developed the consumer version of 'Strider' which was a western release only. Kurokawa took over Kitamura's planning duties on the Mega Man franchise. 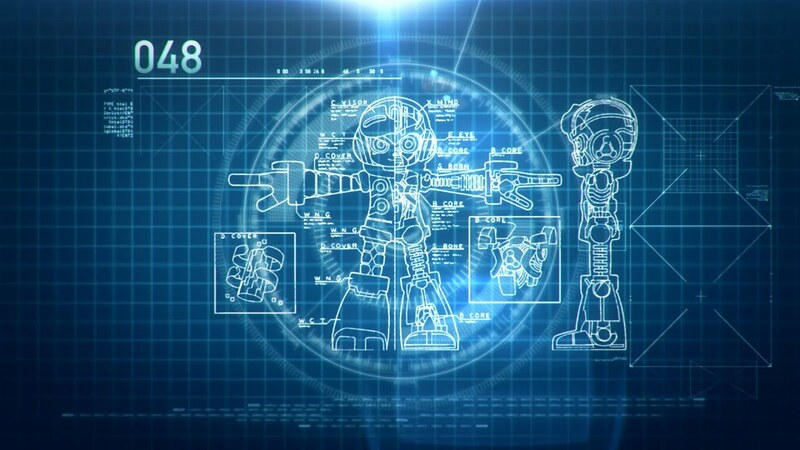 There should be no doubt that with all the designs Inafune had created, he truly is the father of Rockman/Megaman. He and Inafune couldn't agree on much during the development of Mega Man 3. Inafune had "a lot of preset notions about how things should be" and claimed that Kurokawa "didn't really understand Mega Man the way his predecessor did". Kurokawa quit the production before the game was finished. Inafune loved the series he worked on, so much so, that he took up the mantle of lead game developer on top of his pre-exisiting duties in order to save the game. Forever replacing Akira as the father of Megaman. After rescuing Megaman from extinction, Inafune took the lead roll on the franchise where success or failure fell on him. Despite the heavy setbacks CAPCOM still demanded the games release date not be extended, leaving Keiji with a ridiculous workload where he then became the 'father' of the Megaman franchise saving it from possible extinction, do to CAPCOMs total mismanagement of the games development. Keiji was quoted as saying that MM3 was probably his most disappointing game to date as there was so much more that was left out of the final cut in the game. In an early 1990 edition of Nintendo Power, 20 robots was announced, the 8 robots being just a sampling of MM3. Since then Keiji became the lead developer on everything Megaman, so for everything after MM3 there was Keiji's touch or nod of approval, he was able to add his own concepts for a time and it played out for the most part. The series, as long as it fell into the sidescrolling format, came out with a modicum of success ranging from great to just successful. Keiji wanted to do more, becoming Head Developer he could advance no higher in his position and was thinking of reworking the gaming industry from inside CAPCOM. 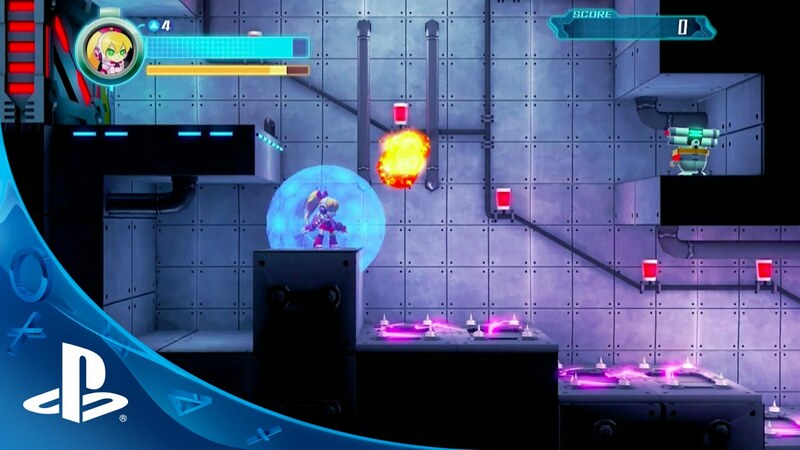 Megaman Universe was one of the 4 games cancelled, you play any CAPCOM character through classic reworked stages. The problem with being head or lead developer had a lot to do with the numbers game. His job went from making amazing games to making sure the numbers were kept in the positive or zero. Also being at the top Keiji got to witness firsthand how the corporation managed it's 'salarymen.' In an interview given by 4 Gamers, just prior to Keiji leaving CAPCOM, Keiji stated that one of the biggest problem with CAPCOM was its 'salarymen', basically what he's stated is that whether you put forth the effort to do a great project or put forth no effort and do a lame project, your still guaranteed your next month's paycheck. This 3 hour interview was an amazing inside look to the Japanese Gaming Industry, never has anyone been so candid. Salarymen aren't given incentive or reward there just guaranteed the employment. A concept that stifles creativity and suspends any diligent work ethic. When Keiji proclaimed he was resigning to start his own studio, CAPCOM reacted indifferently to his leaving. When he had asked CAPCOM if he could work together with them on future endeavors and finish projects he currently started with them, there answer was a simple "No." Simultaneously leaving CAPCOM, in 2010 Inafune founded Comcept. Like his predecessor Kitamura tried to do before him, Inafune, whether knowingly or not, followed in his footsteps. Unlike the failure of Takeru though, Comcept has a very strong chance in succeeding, this is do to the fact that the company has an educated Keiji Inafune at the helm as the CEO, who has learned the art of number crunching from his time as Lead Developer in CAPCOM. Comcept is an independent Japanese game design and development studio formed by Inafune, with offices in Tokyo and Osaka. Along with the developers of Metroid Prime, ReCore features never heard of concepts, exactly why Comcept was founded. The mission statement of Comcept is, "We generate strong, original concepts that will generate big business for you. Our CEO and chief conceptor, Keiji Inafune, is the mastermind behind a library of megahit video games. And no matter what the medium—games, film, books, comics, music, fashion—we make it our business to help our partners create and cultivate concepts that smash past genres and borders." Backers are asked there opinions on almost every aspect of the games development, from start to finish. One of Keiji's ideas of making a successful studio is branching out, meaning not everything will be internal production and not everything will be games. Working with other independent studios, would allow the company to take on many more projects and exceed what the small and new company can put out enmass. IE: While Mighty No. 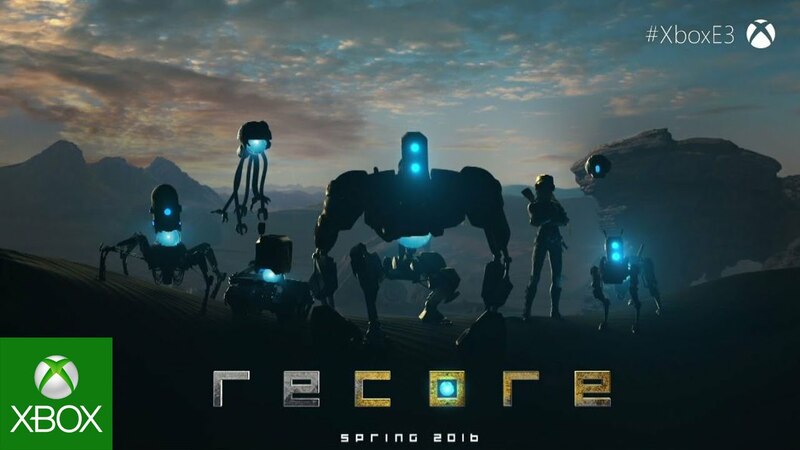 9 was an internal project, Comcept was working with another affiliate company Armature, to create 'ReCore' for the XBox, scheduled for release in the spring of 2016. Mighty No. 9's kickstarter was a surefire way to announce to the world that Keiji not only has the backing of the fans, but that it's his ideas that are truly whats valued to consumers in the gaming industry. Inafune grabbed up as many of the original team as possible from earlier games. The music is also done by the original composers to the first Megaman games, Manami Matsumae (original Megaman composer), Takashi Tateishi (Megaman 2 composer), Ippo Yamada (composed for many Megaman games), and Masahiro Aoki (Sengoku Basura Composer and newest Megaman Composer). No. 7 stage music was done by Takashi Tateishi, most noted for his iconic score for Megaman 2. Another great ingenius aspect that Inafune did with his kickstarter is not only give frequent updates, but he gave the backers a say throughout the development process. This is a great way of gathering fan input and giving the fans who invested a real feeling that they are helping to come out with something they truly enjoy and had a hand in. Backers and fans alike had the opportunity to give character and robot sketches, pick designs for the heroes, and give input during the whole development process. Backers got to choose the final character design for the heroine of Mighty No. 9's, not surprisingly, named "Call"
At the end of the kickstarter, Mighty No. 9 not only surpassed its goal, but exceeded all expectations, allowing enough start up capital to be played for all systems. With this success, Inafune recently started another kickstarter called 'Red Ash' that contains the concepts he wanted to use for Megaman Legends 3. Following this huge kickstarter success, Comcept was approached by Digital Frontier and together signed a deal for a 26 episodes for the Mighty No. 9 animated television series. This is scheduled for worldwide release around the end of 2016, no kickstarter money was used to fund this deal. The Megaman story is far from original, as in the 1950's Osamu Tezuka created 'AstroBoy' or 'Mighty Atom' in Japan. The story is about a scientist who created a Robot modeled after his own son in a world where robots and humans coexist sometime in the future, more often than not AstroBoy ends up battling other robots to defend the innocent. The co-existence of animate robots and humans are popular story threads that continue to recreate themselves even today. You see it in movies, anime, manga, and video games, it's practically a staple for entertainment. "To say that Mighty No. 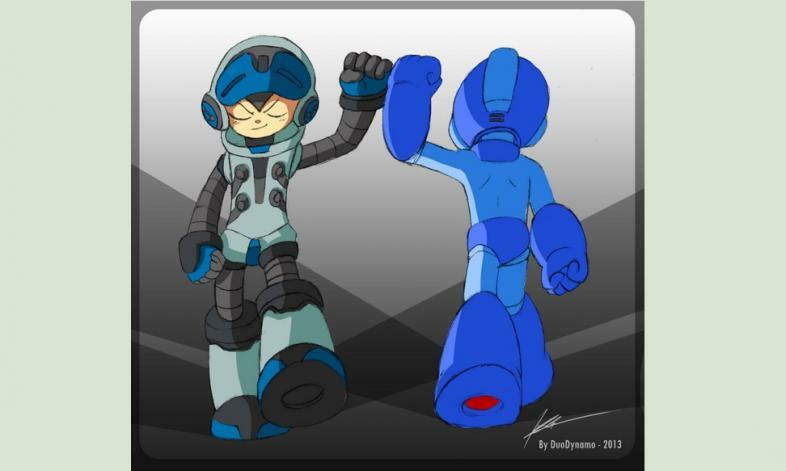 9 looks like Mega Man is to say that my work looks like my work.." - Keiji Inafune. There are many similarities between Beck and Rock, Call and Roll, the doctors, the future, the list goes on. However Keiji promises a new story arc to follow this entertaining thread of robots battling each other which will separate any confusion that this is not a Megaman game. He fondly calls Beck a character that has the spirit of Megaman and even goes so far as to say in a duel, Beck would beat Megaman. When the game is released, you not only play as Beck, you even play as Call at one point in the game. The relationship between Beck and Call are slightly different in nature also, Call is considered his 'partner' not his 'sister'. With this we can imagine a slew of ways Inafune can adapt this story arc. Also Call wasn't constructed as a housecleaner the way Roll was, so her capabilities in battle are much different then the way Roll would have fought. There's also a decent amount of open dialogue between the two that isn't repetitive. She has a lot more function and as opposed to being just a useless support character, is directly involved with helping Beck navigate through the enemy levels. The story goes like this. In a world where robots are used in battle arenas for human entertainment. Dr. White creates 9 robots who are the top 9 fighters in the arena. In an act of cyber terrorism, 8 of those robots was infected with a computer virus that makes them go on a rampage. The crazed robots took control of various key facilities and began to dominate the world. The virus continued to spread to all robots around the globe. 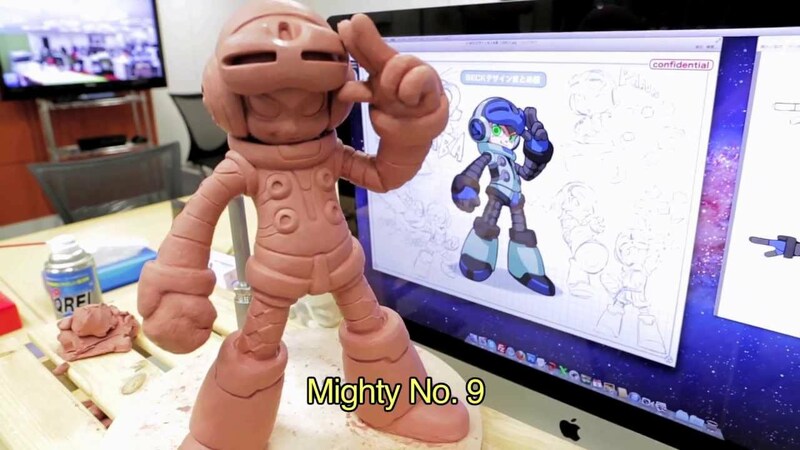 It is now up to Mighty No.9 “Beck”, who alone remains unaffected by the virus. Beck, who had always been the weakest link on the team, was now entrusted with the future of all humanity. Beck's design is nothing like his brother and sister robots, whose abilities are obvious from there appearance alone. Beck is the youngest member of the popular Battle Colosseum team, the “Mighty Numbers”. Unlike his siblings, he wasn’t created with combat efficiency in mind, his timidity always slow them down on the battlefield, and thus was the weakest link to the team, but inside him lies a hidden power. Beck unlike Megaman was constructed originally for fighting, he didn't volunteer to become a fighting robot, he was constructed as an arena fighter out the gate and so there's no built in pacificism towards the violence that affected Megaman, who time and time again would let Dr. Wily go. Won't know till we play, but it seems as though when you defeat a Mighty they regain there senses and help you out. The gameplay is quite different from traditional Megaman games, You still have a P shooter like gun, but Beck's special absorbtion ability utilizes a dash that effectively absorbs enemy robots in order to defeat them. In some instances, not absorbing the enemy can lead to them regaining there life. There's also upgrades where you can upgrade your power, speed, defense, or life, which is kinda like you being able to level up Beck as you advance in the game. Beck can also dash multiple times in the air, effictively using the dash as a glide. There are many other gameplay mechanics that make this game unique to itself, that you will notice. While dashing into an enemy, Beck breaks down and reforms, a feature of Xel technology, unique to our hero. Another unique feature is in the animation and capabilities. Beck can completely transform into his weapons, while Mega Man simply wields them, changing colour. Beck is also not necessarily a fighting robot, which is a huge difference from Megaman. In the world of Mighty No. 9, 'Xel' technology started replacing robotics, and it's more computerized in fashion. A concept that wasn't something that could be thought of back in the 1980's, when computers weren't as mainstream as they are today. This gives a unique twist to the gameplay. When Beck absorbs the Mighty bosses, it comes out differently, this is likely because he doesn't want to kill his siblings. Beck also can steal weapons from common enemies in addition to bosses. Beck is known to have an arm cannon that shoots to destroy or stun his foes and absorbs the Xel by dashing into them while stunned. He is also known to be able to use the Xel from his enemies, (both common enemies and bosses alike). He does this to transform and use their weapons and powers to complete enemy stages. While dashing, you can see that Beck literally breaks apart and reforms after he absorbs the enemy units. "I love Capcom. I want to save it. So I'm not going to just let it be." --Keiji Inafune in a 2010 interview with 4 Gamers. 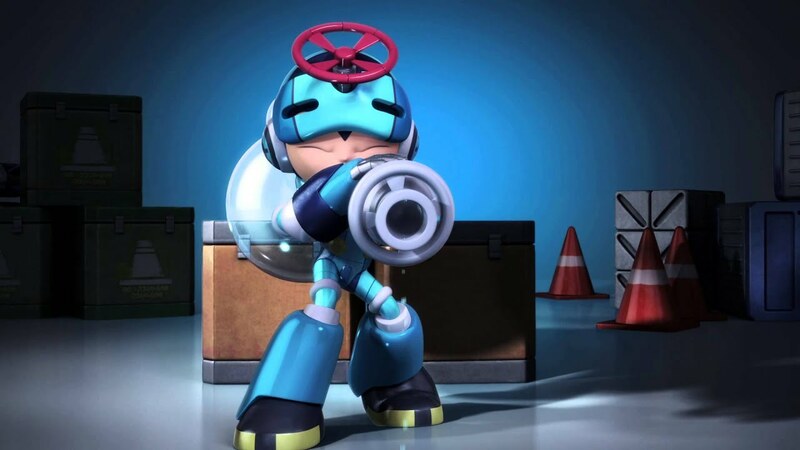 Beck is clearly not Megaman, but he fills the void that the Blue Bomber left in so many ways. Rockman/Megaman will always be a super fighting robot, who will battle Wily's creations over the centuries. Beck is a unique character who is trying to save his fellow fighting robots from an as of yet unidentified villian, for that he is much different than what Megaman is. While the comparisons are there, the differences far outweigh and Mighty No. 9 is a new and innovative game with old threads of the ancient 2D platformers that we all loved. I believe Megaman would think that Beck is the true hero who had done it right.